Google’s operating margins fell to 23.7% last quarter. This level is the lowest I’m aware of. From 2007 to late 2009 margin went from about 31% to about 37%. Then from early 2010 until present they fell. The history is shown the the following graph. 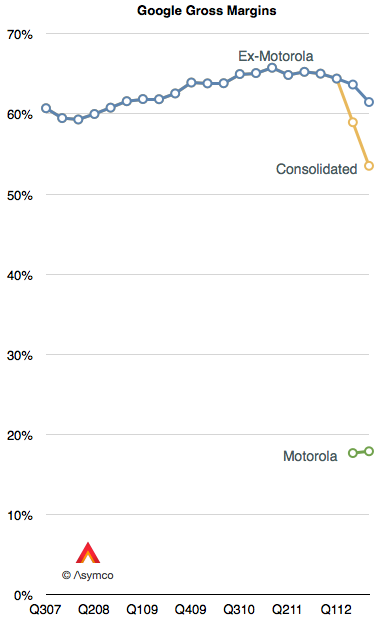 Some of the recent decline is due to the inclusion of Motorola into consolidated earnings. Motorola gross margins were therefore 18%. 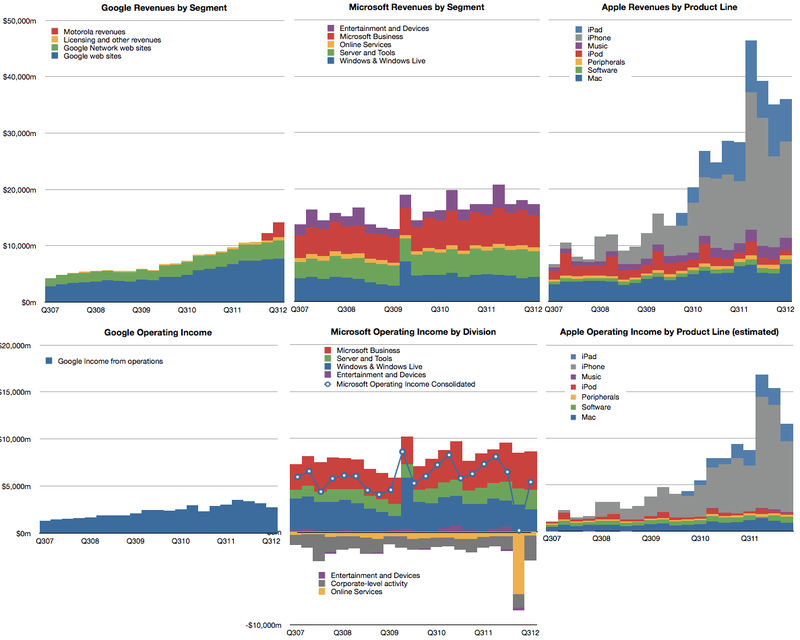 Excluding Motorola, Google gross margins (Revenues-Cost of Revenues) were 61.5% of revenues. 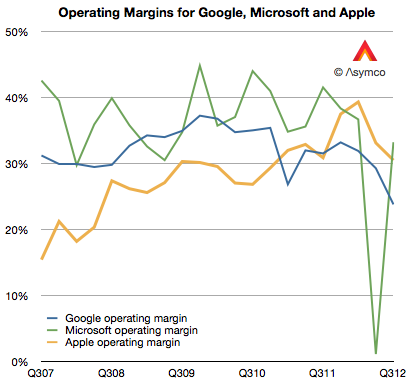 However, even excluding Motorola, Google’s core margins dropped. One reason for the decline in core margins is the reduction in cost per click (-16% for search and -18% for network sites.) This is what Google pays to partners for access to traffic. The trend is not new. It was first discussed in January. 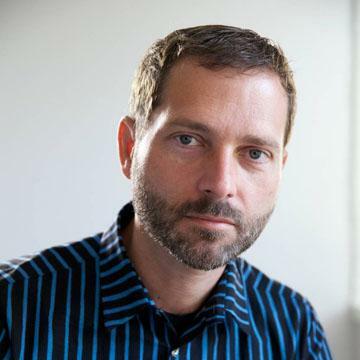 The bottom line is that an individual click is not as valuable as it used to be. Would a larger volume of mobile usage be a reason? Google won’t say. The overall result in the bottom line is shown below. Microsoft and Apple are again put forward for comparison.